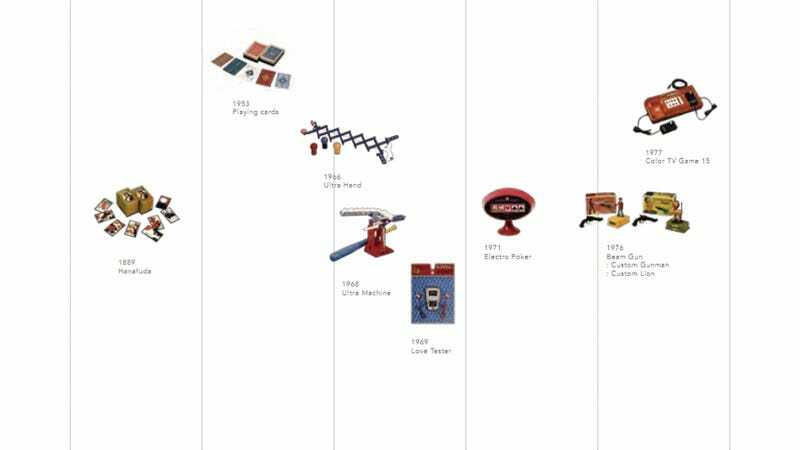 Sure, the timeline leaves out the gangsters and the love hotels (and even the Kamen Rider blocks), but it does hit Nintendo's gaming high points from the late 19th century to 2011. In that time, Nintendo's gone from a small company that made playing cards to a high tech international powerhouse. But one thing hasn't changed, Nintendo continues to focus on the enjoyment of play.